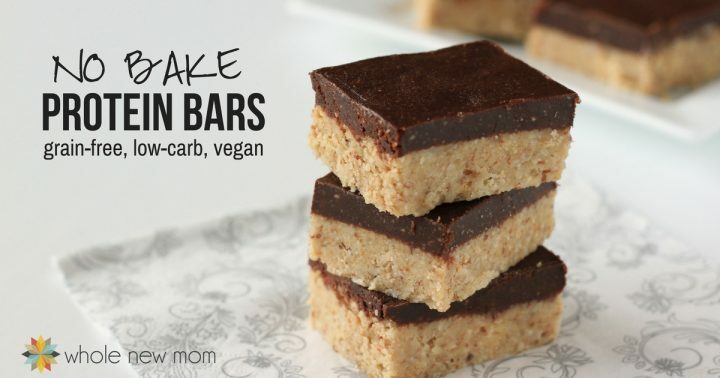 This Protein Bar Recipe is one of our all time favorites. Skip the overpriced store bought bars, and make these healthy homemade protein bars instead–they're special diet friendly too! 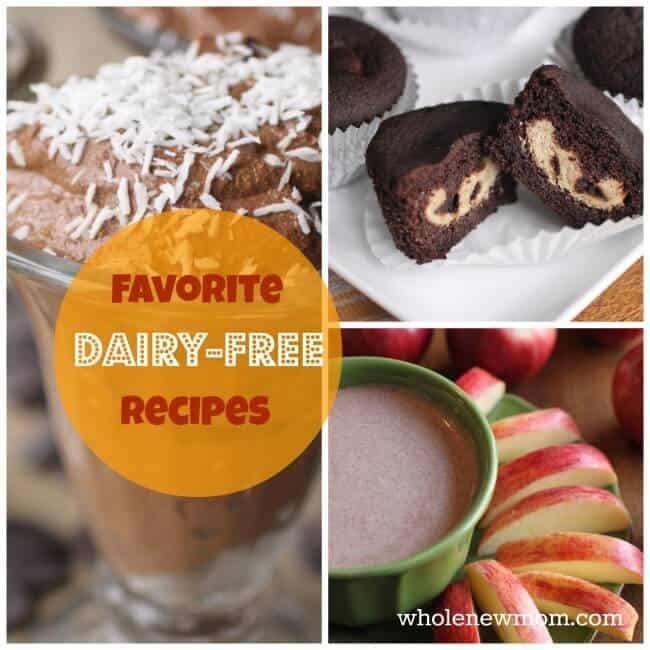 I'm always on the lookout for healthy snacks for my family, especially easy recipes since I am pretty busy. We love my recipes for healthy chocolate truffles, no-bake cookies, and kale chips, but this recipe for homemade protein bars is one of our all time favorites. It's a great grab and go snack and is full of yumminess that you and your family will love. If you've been buying protein bars in the store, here is your chance to make them at home for much less money and likely with much healthier ingredients. I like to make these Homemade Protein Bars in bulk (I make just about EVERYTHING in bulk) and then place in the fridge or freezer for a fast healthy snack for the family. Sadly, however, the freezer party typically doesn't happen. Most of my recipes make it to the fridge and that's it. They get eaten faster than I can get them there….but I'm working on it! 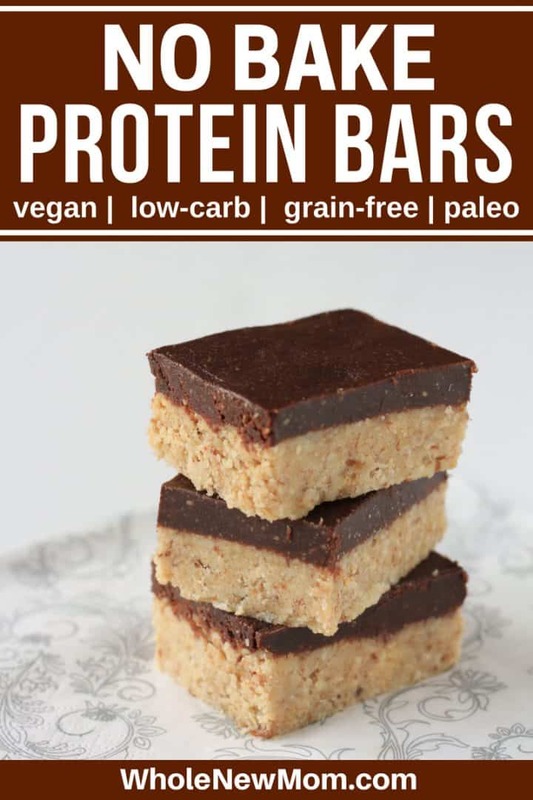 I know that a lot of people still purchase ready-made protein bars in the stores for convenience purposes, but it really is great if you can carve out a little bit of time and make a big batch of something like this and have it on hand. You'll save a ton of money, have total control over the ingredients and well, they taste great too. Try it and once you find a mix of ingredients you like, make a bunch of batches, freeze them, then grab them and go when you are on the run. This homemade protein bar recipe is a lot healthier for you and for your wallet, plus who doesn't love some chocolate now and then, especially when it's this healthy? How are these Homemade Protein Bars healthier? Seeds and nuts give a great dose of healthy fats that are good for you and great for leveling out your blood sugar levels. I learned the hard way how the store-bought bars can be a real problem. Recently, I bought a bunch of “healthy” bars on clearance for my kids. I thought I was doing a good thing for my family as they were heavily discounted, and some of them had more protein that most other bars in the store. However, the addiction factor kicked in pretty quickly. And the carbs have had a bad effect on one of the members of our family, who shall remain nameless. My experience is that we are passing down weakened guts and immune systems to subsequent generations, and as such, more and more people can't handle carbs. Well, these bars have more carbs (in the form of nice sounding “organic cane syrup”, etc.) than I would typically let my kids eat, and though I figured that the protein and fats would balance it out, the fact is that they don't. My kids do better on my homemade stuff and there is just not much of a way around it. So even though I thought I was giving them something “healthy”, I learned my lesson. Organic cane syrup is sugar. And we don't do well on it. 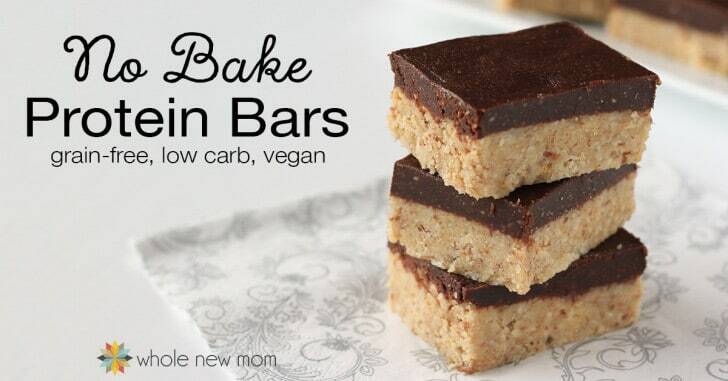 With these bars, you can control your carbs, which can be a very important thing. Back to the Protein Bars….. These originated as a recipe for Almond Power Bars on Elana's Pantry. I tweaked the recipe a bit, made it more suited to variation, and gave nutrient boosting and sugar-free alternatives. The only problem with these homemade protein bars is that they don't travel well in warm weather. So take a cooler bag along with you if you plan to eat them on the road when it's not cool. One warm weather tip – making these homemade vegan protein bars and the topping with cocoa butter instead of coconut oil will make them more stable. Sweeteners: Use vegetable glycerine as the liquid sweetener for a low-carb version. If you don't need low carb, use Sucanat or honey for more natural options. If you don't use glycerine, then 1 scoop stevia extract is a good choice or you could alternatively use xylitol or about 1/3 more erythritol. More Protein: Substitute up to the total amount of the flax meal with the same amount of rice protein for an extra punch of protein. Nutribiotic makes a great brand from non-GMO brown rice. You could also use some of this great grass-fed gelatin to firm up the bars and give more protein. Be Careful Processing! Please note – the recipe says to process the nuts to a coarse meal. If you over-process, you will have a nut butter, which will still taste great, but will make the bars more dense and not solid unless you freeze them. Still yummy, though! Nut Options: For nuts, almonds and organic macadamias are good options. Mixing several kinds works well too. You can also sub 1 1/3 cups coconut butter or seeds for nut free. If using seeds, organic sunflower and organic pumpkin seeds work well. Flax Meal: Here is a good brand of organic flax seeds to purchase to make flax meal. You can also use rice bran or organic protein powder instead of flax meal. Coconut Butter: You can also substitute coconut butter for the nut or seed butter. Coconut Oil: You can substitute an alternative solid fat for the coconut oil. Use organic cocoa butter or butter for a more warm weather-stable bar. Stevia: You can use 1/32 tsp (1 scoop) of stevia extract (see How to Use Stevia) instead of xylitol. Chocolate Chips: If you would prefer to make your own chocolate chips, here are my Homemade Chocolate / Carob Chips. My Homemade Chocolate / Carob Bar (1 cup of chips per bar recipe) is another option. 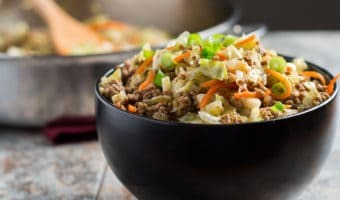 THM: This recipe qualifies as an “S” for those on the Trim Healthy Mama plan. This Vegan Homemade Protein Bar Recipe is one of our favorites - Grain-free, soy-free, dairy-free, egg-free and soy-free homemade protein bars--great for special diets. Place nuts or seeds, flax meal, coconut, seed or nut butter and salt in the bowl of a food processor. Process until the nuts or seeds are ground into a coarse meal. Melt coconut oil over low heat. If the temperature of your home is around 76 degrees, you can skip this step and add the oil directly to the food processor as it will be soft enough to process easily. 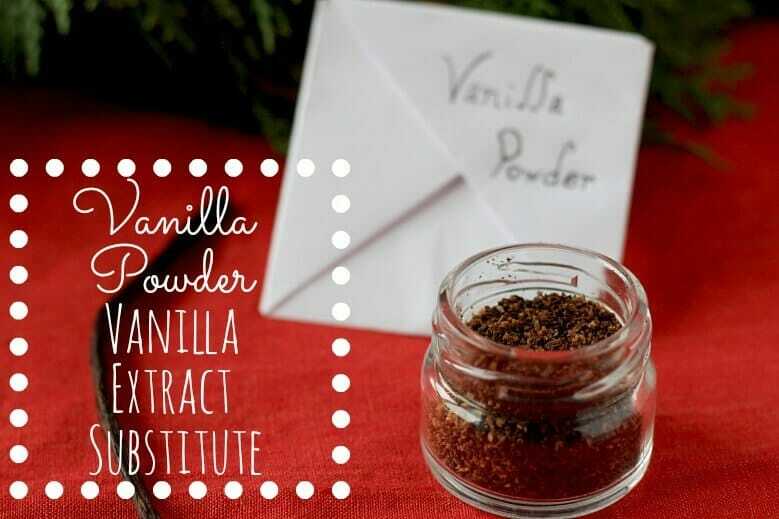 Add coconut oil, sweeteners and vanilla to processor bowl and process until well combined to form a thick, yet crunchy paste. Place in refrigerator to chill. If you are making your own chocolate/carob chips or chocolate/carob bar, prepare while the protein bars are chilling, but do not harden the chocolate chips or bar. Top bars with the chocolate chips or bar. Top either before the bars chill, or melt the chocolate topping and top with it. Press the topping onto the chilled bottom layer. Hope you enjoy the taste and the healthy boost that these Homemade Vegan Protein Bars bring to your wallet! Would you eat these Homemade Vegan Protein Bars for–breakfast, snack, on the go? Delicious! Made them using almonds and used stevia ascthe sweetener. Put melted dark chocolate on top. I made these a postpartum/ lactation support foods. Do you know the nutrition content? Thank you so much! I can see if I can get my son to do the calculations now. We’ve been inundated with personal and blog issues. You can use any online calculator that you trust. 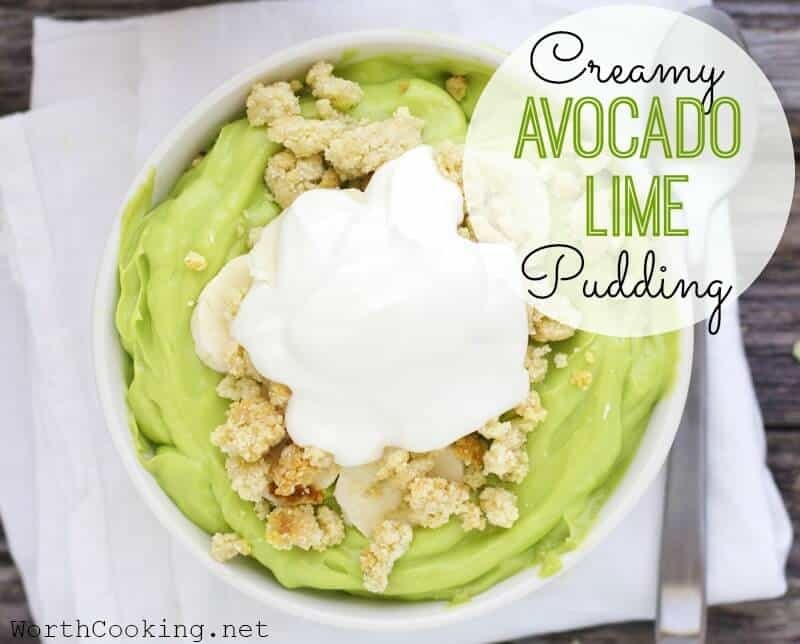 This recipe looks so yummy, thanks for sharing 🙂 I will definitely try it out! Thanks, Hana! Sorry but I don’t allow people to promote their sites on my platform but hope you like the protein bars should you try them!